The press release does not say they are starting the mine. It says they are starting the mine imminently. They have been starting the Carmichael coal mine imminently for many years. We maintain the view that this mine will not proceed, but the Adani family does have a special new inducement to proceed, besides risk-free income routed to family-controlled entities in tax havens, and that inducement comes from India. Michael West reports. The bankers have long fled the scene, mine “approvals risk” remains, the thermal coal price has tanked, the Carmichael Coal project is more on the nose than ever as Queensland burns. Yet, last Thursday, Adani chief executive Lucas Dow told the Bowen Basin Mining Club lunch in Mackay that Carmichael would proceed imminently. Adani would now finance the mine itself. It remains the view of this observer that it won’t happen and that Lucas Dow is jawboning, trying to get something going before the Federal Election next year. 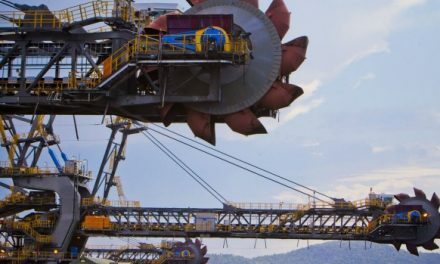 There is some urgency to this – an urgency supported by other Galilee Basin coal players Gina Rinehart and Clive Palmer – because a Labor government is less likely to look favourably upon Adani’s aspirations to open up a new coal province. Officially, Labor still supports the project proceeding, and some unions are in favour, but there is no hard-core coal lobby in the party, unlike in the Coalition Government, pushing it. This is a project whose ambitions have fallen from $20 billion to $2 billion in project finance for its latest slimmed-down version. These are the “nays”. The “yays” are few but one significant factor has swung in Adani Australia’s favour. * The price of mid-quality 5,500kcal Newcastle coal has fallen to two-year lows at $US58/tonne. 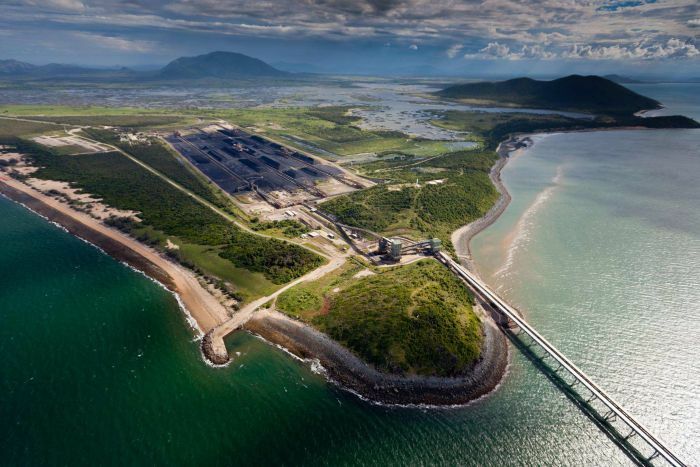 * Adani has no rail access agreement with Aurizon to ship the coal to Abbot Point coal terminal. * It does have a legitimate ILUA (Indigenous Land Use Agreement) but this has been challenged and may take months to resolve. * There is no final approval of water rights and the heatwave and fires in Queensland have hardened local opposition to the plan. * Adani Group in India has not come up with $2 billion yet. * Sources say that EFIC (Export Finance & Insurance Corporation) has discarded the idea of financing or guaranteeing Adani’s loans. * Aurizon withdrew its application to NAIF (Northern Australia Infrastructure Facility) earlier this year for finance to build a 388k rail line from the Galilee to the coast. As the project is “vertically integrated”, that is, the coal goes straight to feed the Adani Group’s plants in India, the price of coal is not absolutely critical to whether it proceeds. Here is the catch. The poor people of Gujurat Province in India have bizarrely been put on the hook to subsidise coal projects in India for the next thirty years. Why this has happened, one can only guess, but the effect of the deal appears to be to guarantee coal supply to three Indian coal magnates via “cost-plus” arrangements. The recommendations of a high-powered committee on stranded power projects set up by the Gujarat government can bring a combined relief of Rs 1.29 trillion for Tata, Adani and Essar’s power plants in the state over the next 30 years, according to a source. If the recommendations are implemented, the consumers will have to face the brunt of high power tariffs. A three-member committee comprising former Supreme Court judge Justice R K Agrawal, former RBI Deputy Governor S S Mundra and former Central Electricity Regulatory Commission (CERC) chairperson Pramod Deo was set up by the Gujarat government on July 3, 2018 to find solutions for the three thermal power plants located in the state that were in financial distress. The committee has “submitted its recommendations earlier this month and the three power plants would get a combined benefit of Rs 1.29 trillion in next 30 years if the recommendations are implemented”, a source said. There is still no word from Adani sources in Queensland that the company is hiring engineers, a concrete sign that the project is starting. 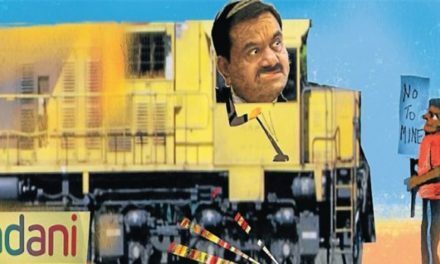 Observers say the latest statements may be posturing to Gautam Adani, the group chairman in India, that – given political prospects for a change of government in Australia – it is now or never for Carmichael. In light of the Indian subsidies, Gautam Adani can probably borrow the $2 billion in project finance. Bear in mind that, thanks to the way the port terminal, and perhaps the rail, corporate entities are structured, the Adani family takes little risk on those revenues. Shipping coal will deliver per-tonne income to Adani family companies. If the Adani group itself finances the mine – as opposed to external banks – it will bear the mine risk. Gautam Adani is yet to publicly say the deal is financed. Adani Mining Ltd is a wholly-owned subsidiary of Adani Enterprises Ltd, a Bombay Stock Exchange listed company. No details of the financial implications of this announcement have been given to shareholders nor the exchange. Given the remaining “approvals risks” as detailed above, there are still plenty of obstacles for the project to overcome.